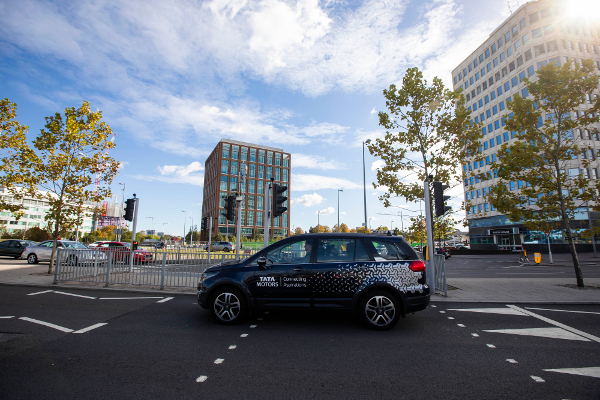 Following the successful conclusion of the UK Autodrive connected vehicle pilot in Coventry and Milton Keynes, members of the project consortium have held a series of demonstration days to showcase the technology used in the program. 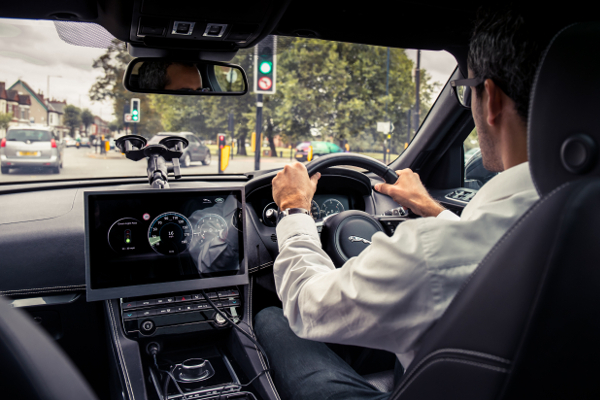 A £19.4m (US$24.3m) government-funded program, the recently completed UK Autodrive project was one of number of pilots taking place across the country to trial connected and autonomous vehicles (CAV), helping to deliver the government’s vision of driverless cars operating on UK roads by 2021. 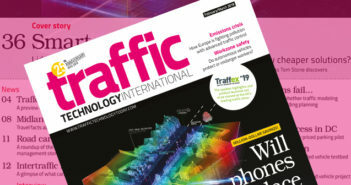 Featuring a series of increasingly complex trials, the program provided an opportunity to test a number of areas of automated driving, as well as to demonstrate the potential of connected vehicles. Ford, Jaguar Land Rover (JLR) and Tata Motors European Technical Center all provided vehicles for these collaborative trials, which took place initially on the Horiba MIRA test track in Nuneaton before moving on to closed city streets in Coventry and Milton Keynes and then on to open public roads. The trials examined the potential benefits, in terms of safety, traffic flow and the environment, of having cars that can communicate with each other using V2V (vehicle-to-vehicle) systems and also with the surrounding environment using V2I (vehicle-to-infrastructure) technologies. This included the roadside infrastructure that was supplied and installed by Siemens Mobility Limited for the Coventry phase of the trial. The company’s ESCoS roadside units (RSU) provided the technical platform for vehicles and traffic signal equipment to communicate with each other in real time, with the RSUs sending data to equipped vehicles over dedicated short-range communications (DSRC) networks. 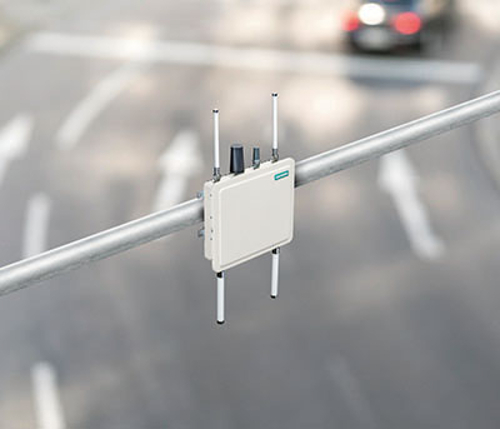 For example, as the Siemens RSUs are connected to the traffic lights, the trial enabled the GLOSA (Green Light Optimized Speed Advisory) system to be tested when a vehicle is connected to a traffic signal-controlled intersection. 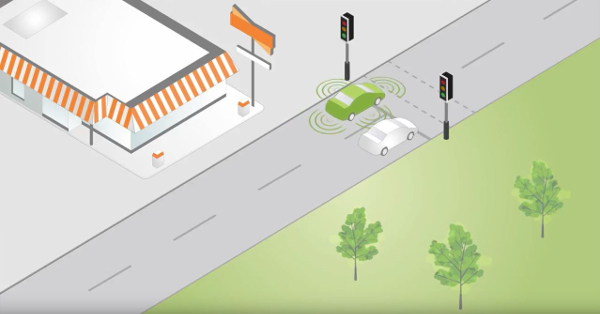 GLOSA has been developed to improve safety, economy and emissions, and its operation begins with the traffic signal timings being read from the controller. This is then broadcast by the RSU as a SPaT (Signal Phase and Timing) MAP message, on receipt of which, the vehicle’s GLOSA system processes the data. Based on the vehicle’s position, speed and heading, it then decides what to tell the driver about the signal time and status. 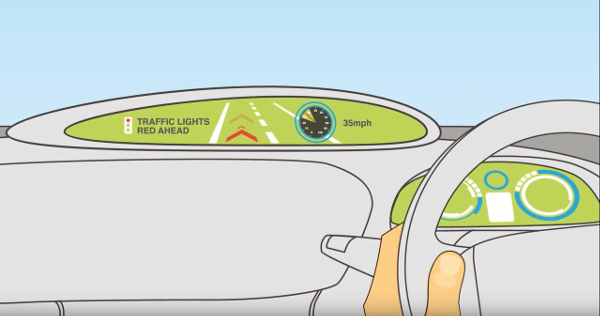 This advice is presented to the driver via a human machine interface, in the form of a graphic, advising them either how to adjust their driving to ensure they pass through the junction on green, or to prepare to stop if the vehicle cannot make it safely to the stop-line before the signals turn red. 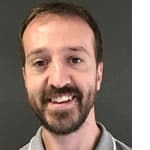 “With digitization, we enable mobility operators to make infrastructure intelligent, improve passenger experience and enhance availability,” noted Gary Bray, senior product manager for sensors and connected mobility at Siemens, during one of the demonstration days.